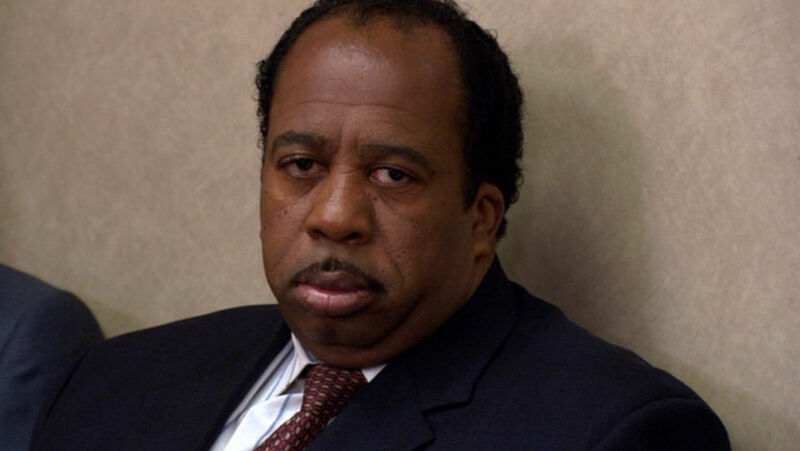 I was so wrapped up in the snow I could (edit: DIDN’T) be getting for Christmas, that I forgot about Thanksgiving. 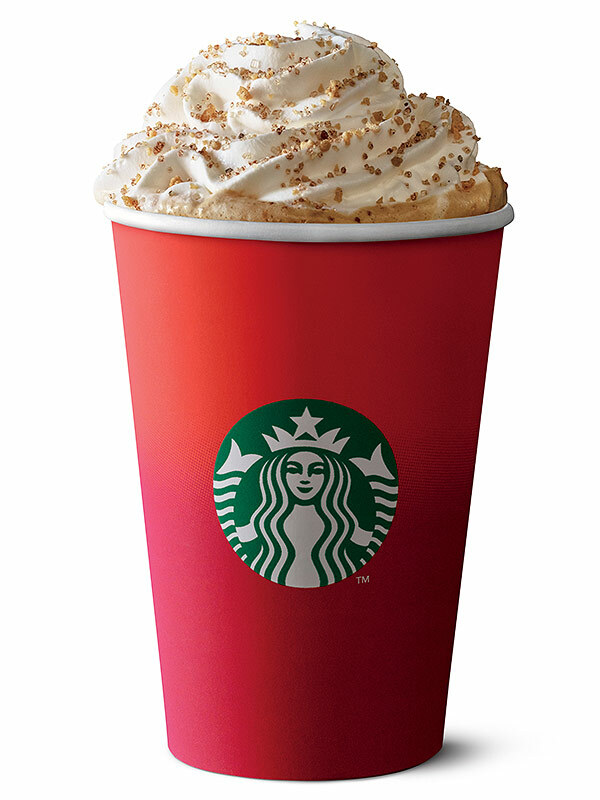 Starbucks customers are doing the same thing over this dumb red cup. After using one recently, and feeling festive for it, there will be no sympathy coming from me. Here’s why this is all so overblown (like my aphid problem at the moment). 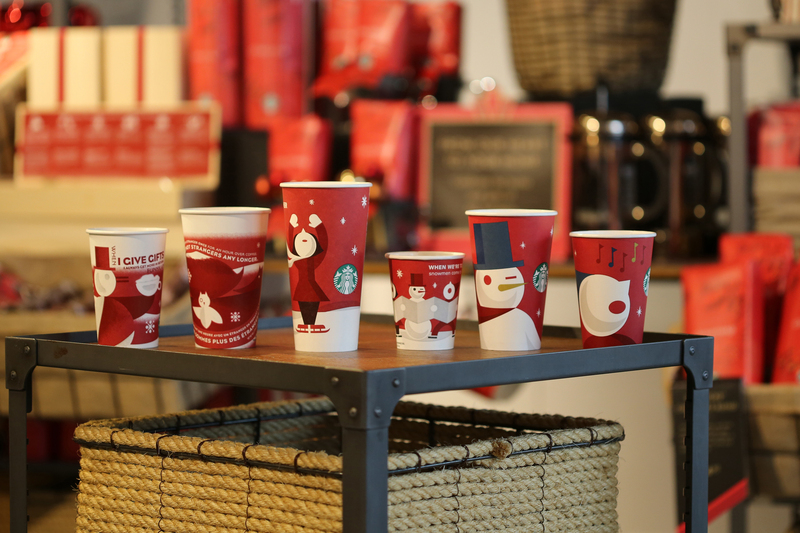 Actually, let me preface this by saying that the only close-to-Christmas-themed cup I’ve been able to find is this one with Christmas tree ornaments, and Christmas tree branches. Fair enough. Getting all heated about the cup they are using before Thanksgiving is not a big deal. They’ll roll out the rest on Black Friday no doubt. Now on to the rest. Here are some older-model cups. First is the snowman and woman singing. Festive, but I wouldn’t say Christmas themed. The text references Frosty The Snowman, a winter themed movie. Now since Santa did make an appearance in that, it could be seen as a Christmas movie. This only passes on a razor thin technicality. This is a fun grouping, with more snowmen and a neat, ice skating design. Nothing new; non-denominational winter-themed designs. Very nice, actually. Well done Starbucks for realizing that everyone makes snowmen during the winter, and if there is ice, people will ice skate. 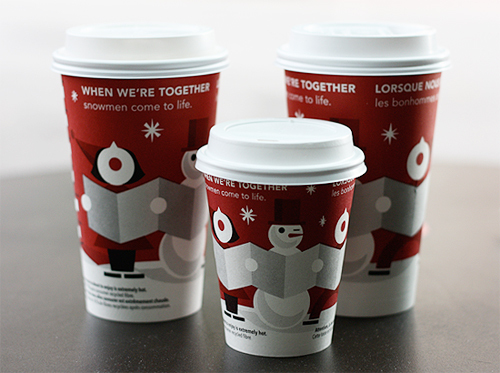 The second cup from the right features a winking snowman, he likes you! Now on to the big hitters, a cup with a present on it! Or at least that’s what it looks like. First off, that chocolate and whipped cream looks delicious. These people know how to stage a beautiful photo. Second, everyone gives gifts for the holidays. So it’s impossible to tell what is going on here. Everything else about this is non-denominational. 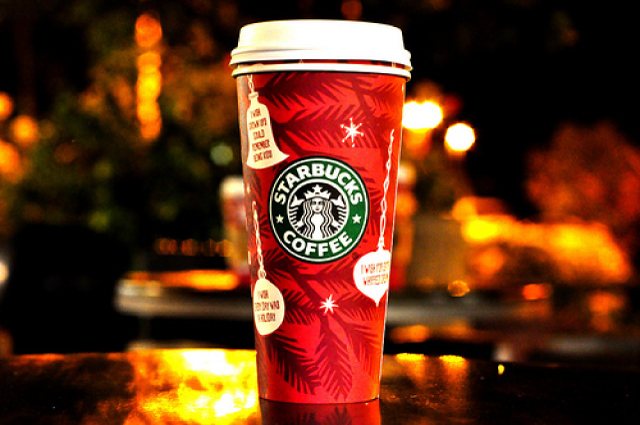 Frankly, these are festive for any winter holiday, and I felt about as festive with the solid-color cup in my hand. 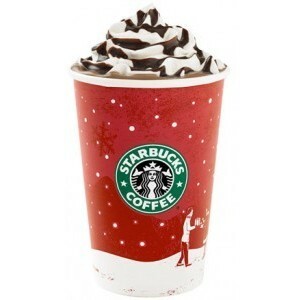 So thanks Starbucks, for giving us a beautiful, simply designed cup. And for whatever that crumble is on top, that looks scrumptious. If I missed any clues as to why these are specifically Christmas themed, feel free to speak up. Happy Pre-Christmas!